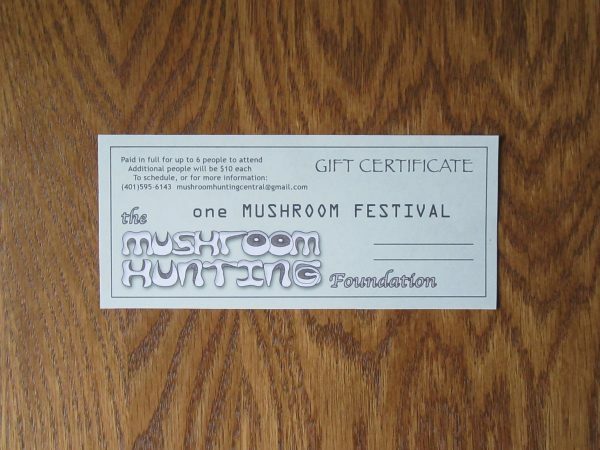 (1) Our 1-hour slideshow class about mushroom hunting. We run our laptop through a big TV, usually in the student’s living room. We have a different slideshow for every season. (2) A 90-minute guided mushroom hunting walk; we can teach in an area of your choice, or we can recommend a location near you. (3) A delicious cooking demonstration, back at your home base. See under the CLASSES tab for additional information. This is the perfect gift!